In 2007, Pakistani political leader Benazir Bhutto was gunned down in public, in cold blood – in an event that most certainly had wider geopolitical implications for the region including the US-led NATO effort in Afghanistan. Now Pervez Musharraf is well and truly in the dock, and if found guilty, this will draw a final line under the event which traumatised a nation only six years ago. Even if he’s eventually acquitted over these charges, history will attach guilt to him regardless. 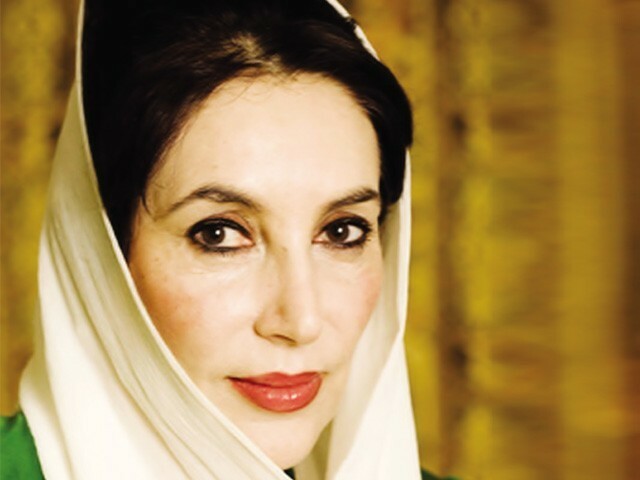 Note that shortly before her murder, former Pakistini PM Benazir Bhutto let slip during a Al Jazeera TV interview on November 7, 2007 with David Frost about the fact that Osama bin Laden had been killed circa 2001, allegedly by a Pakistani operative Omar Sheikh. At the time, Bhutto was planning to recapture leadership, and had her sights set on targeting key members of a Musharraf government “gang” who she believed were responsible for the chaos surrounding Pakistan’s internal security and intelligence links to terrorism. Specifically, she was pursuing the ‘organisers and financiers of terrorist activities’ – a dirty trail which would invariably lead her right to the CIA, and perhaps others. At this point, she had already been threatened with assassination at this point, and penned a letter to be delivered to Musharraf himself at the time urging him to investigate. This is significant because had Bhutto’s line of questioning continued, it would have collapsed the entire facade of Washington’s artificial War on Terror, including Obama glorious ‘SEAL Team 6’ re-election raid on Abbotabad in 2011. By burying Musharraf now, Washington and their partners hope to bury one of the key holes in the Osama bin Laden mythology. RAWALPINDI, Pakistan — A Pakistani court on Tuesday indicted former president and army chief Pervez Musharraf on murder charges in connection with the 2007 assassination of iconic Pakistani Prime Minister Benazir Bhutto, deepening the fall of a once-powerful figure who returned to the country this year to make a political comeback. Musharraf, who took power in a 1999 coup and stepped down from office in disgrace nearly a decade later, now faces a litany of legal problems that have in many ways broken taboos on the inviolability of the once-sacrosanct military in Pakistani society. He is currently under house arrest in connection with one of the cases against him. The retired general has been charged with murder, conspiracy to commit murder and facilitation for murder, said prosecutor Chaudry Muhammed Azhar. He did not specify what exactly Musharraf was accused of doing but prosecutors have previously accused him of failing to provide enough protection to Bhutto. 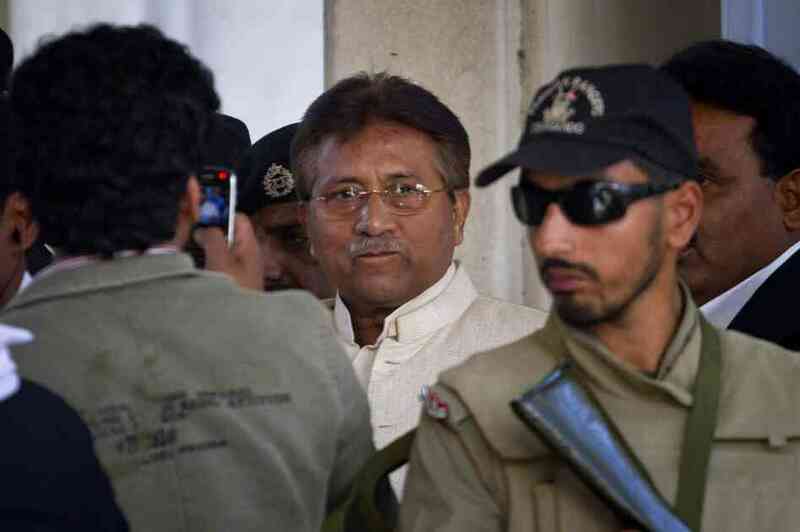 The former army commando appeared in person during the brief morning hearing, and pleaded not guilty, said Afshan Adil, a member of Musharraf’s legal team. “These are all fabricated cases. There is nothing solid in all these case,” she said. Bhutto was killed in 2007 during a gun and bomb attack at a rally in the city of Rawalpindi, the sister city to the Pakistani capital, Islamabad. Prosecutors have said that Musharraf, who was president at the time, failed to properly protect her.